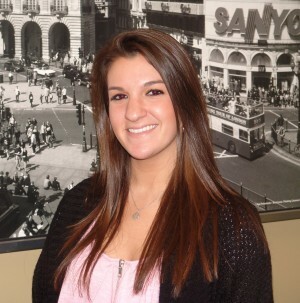 Oswego, NY – Oswego-based marketing communications firm, Step One Creative, has announced that Morgan McNamara, of Oswego, has joined the agency as a public relations intern, according to President Shane R. Stepien. McNamara, a junior public relations student at SUNY Fredonia, will assist Step One with various public relations and research projects during the winter session. McNamara looks forward to be pursuing a career in fashion public relations. In addition to her internship at Step One Creative, McNamara is a member of the national organization, Public Relations Student Society of America (PRSSA), running fundraisers and promoting events and clubs throughout SUNY Fredonia campus. McNamara is also a member of the women’s lacrosse team at Fredonia. Established in 1996, Step One Creative, a division of Step One Communications, LLC, is a marketing communications firm located at 56 West Third Street in Oswego, that offers full-service advertising design, brand development, public relations, copywriting, media planning/ placement, marketing research, and capital campaign development/fundraising to organizations and business throughout Central and Upstate New York. For additional information on Step One Creative please call (315) 342-2554 or visit their website online at www.steponecreative.com.